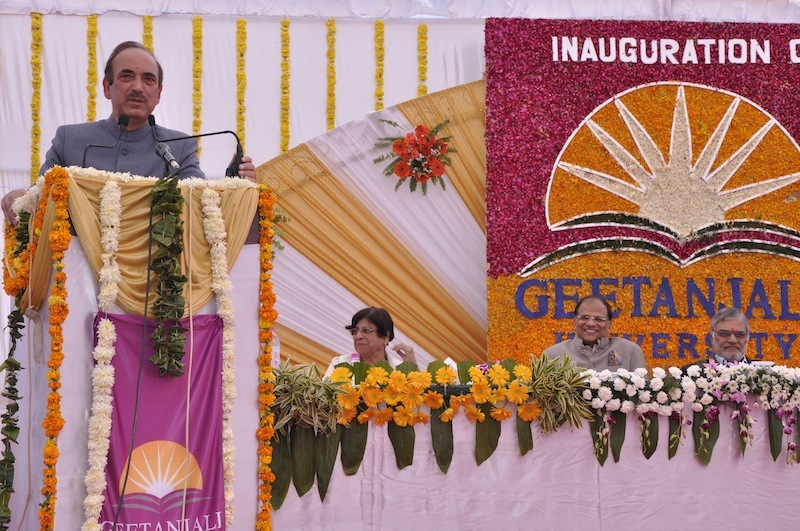 On 26th December 2011, Central Minister of Health and Family Welfare Shri Ghulam Nabi Azad, and Union Cabinet Minister, Road Tansport and Highways, Dr. C.P. 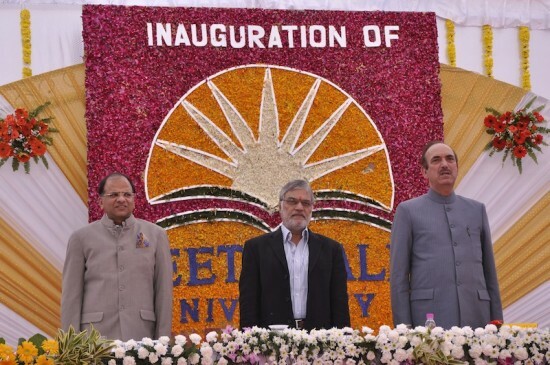 Joshi inaugurated the Geetanjali University in Udaipur. 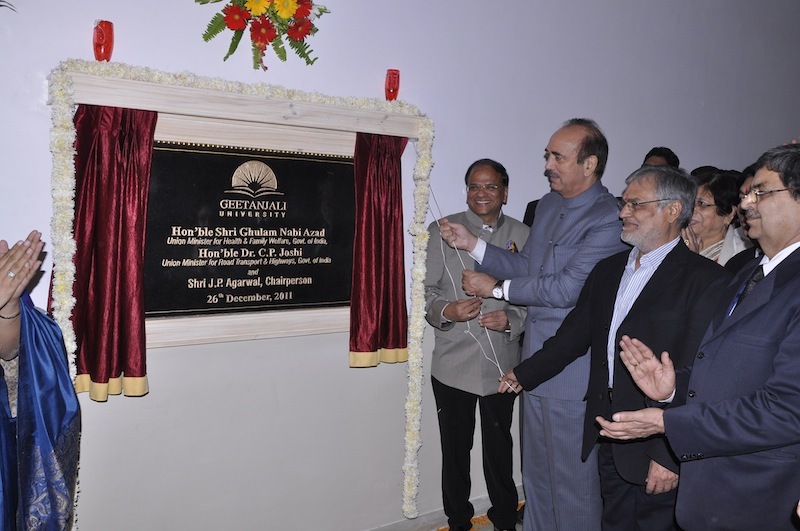 On this occasion the chief guest Shri Ghulam Nabi Azad himself did an inspection in the facilities provided by the hospital and the education quality, and expressed that the reality was far beyond, and of course better than what he expected. 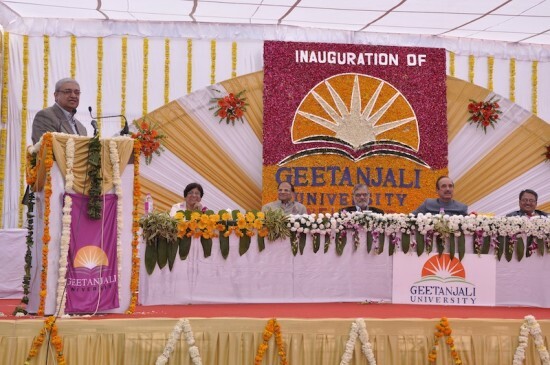 He said that Geetanjali University has the potential to stand amongst one of the best universities of the country in accordance with the medical facilities, infrastructure, latest equipments, etc. 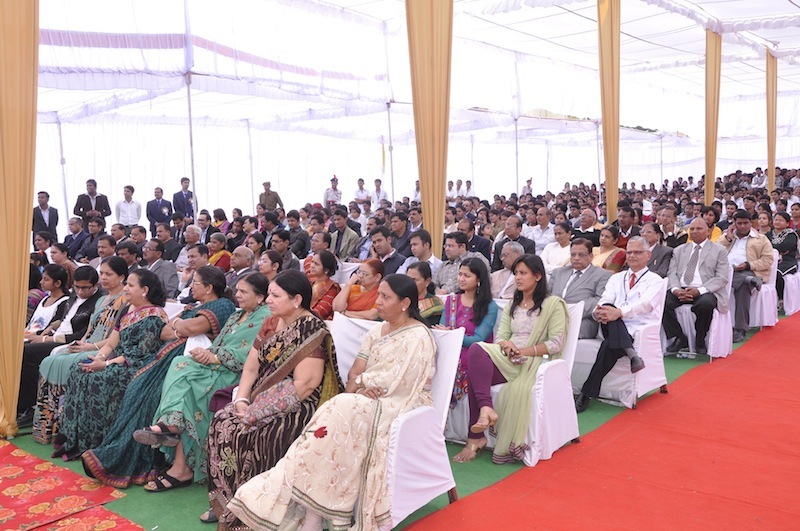 Apart from this, he urged the media to cooperate with the government to spread the awareness of the government health schemes to the common man. 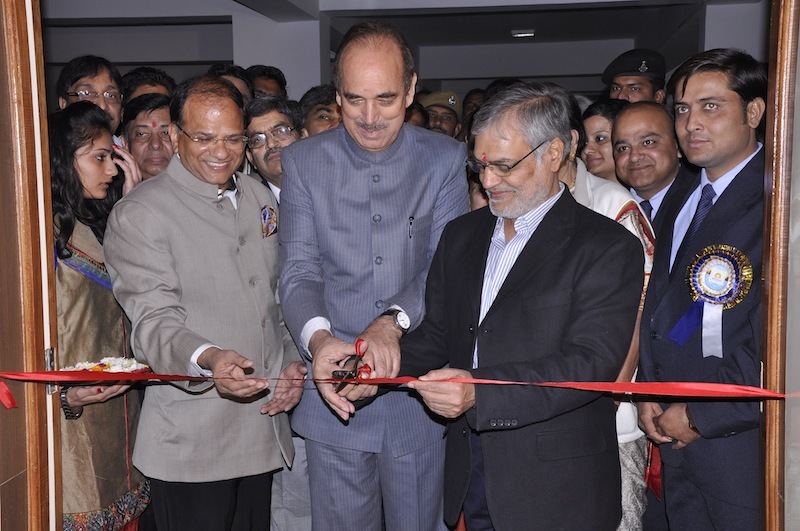 In his presidential speech, Dr. C.P. 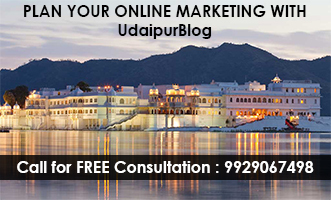 Joshi said that after the inauguration of such a great university in Udaipur, probably now there won’t be any requirement to send the patients to Ahmedabad, Noida, etc, and that even the poor people will get quality treatment from now onwards. Special Guest Dr. I.V. 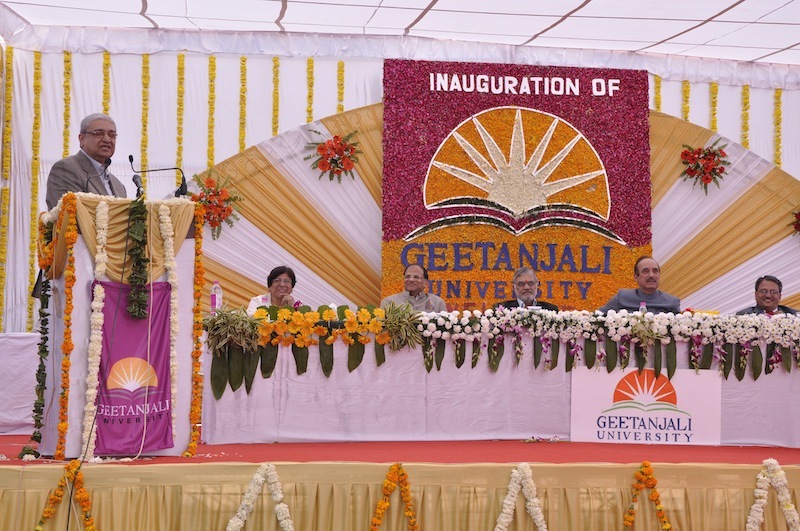 Trivedi, Vice Chancellor, Mohanlal Sukhadia University said that Geetanjali University is the first ever medical university of the region, and it is the first step of the development of the medical facilities in the region. J.P. Agarwal, Chairperson, Geetanjali University informed about the medical facilities available currently at the university, and that there is an undergoing process for the establishment of a cancer and cardiology centre worth Rs. 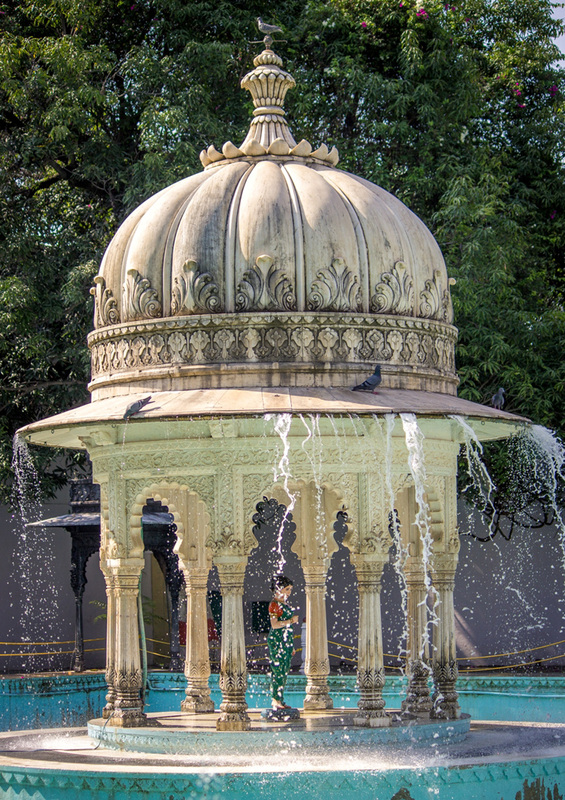 50 crores. 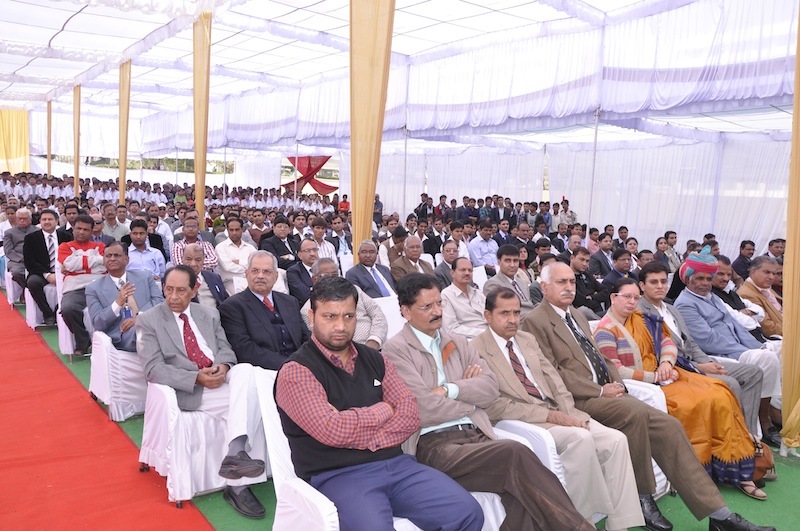 Also, from the new session, the university will begin even the Ph.D in programmes for the medical and paramedical students.